ONLINE PAYMENT FOR YOUR TRAVEL LEAGUE DEPOSIT IS UNDER ONLINE REGISTRATION. A LINK CAN BE FOUND ON THE FRONT PAGE OF THIS WEBSITE. Formerly the IceForum Junior Thrashers, the Atlanta Phoenix Hockey Club provides youth ice hockey players in Atlanta the opportunity to play in a highly competitive travel league at the A/AA levels. The program is designed to constantly challenge players outside their comfort zone for maximum development growth. 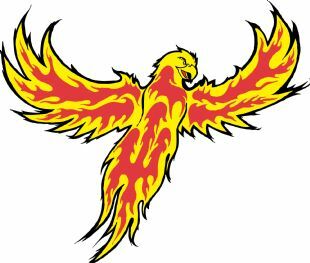 The Atlanta Phoenix travels primarily throughout the Southeast competing as a member of the SYHL. Phoenix teams occasionally travel outside the southeast where they have competed successfully against teams from the Northern US, Canada, Finland and Russia. IceForum travel teams have a long history of Championships including Silver Sticks, USA Hockey Regional, USA Hockey Districts and various Tournaments throughout North America. IceForum Premier and SYTHL teams continue to produce skilled hockey players who have successfully advanced to Tier-1 AAA, Juniors, College and Team USA. Several current and former IceForum players are currently on the USA Hockey national prospects list, USHL draft list, and various college recruiting list throughout the U.S. In 2008, the IceForum Junior Thrashers Pee Wee AA team was invited as 1 of 4 teams to represent Team USA in an exclusive AAA tournament against 4 of the top ranked AAA teams from Ontario, Canada. The Junior Thrashers, along with Compuware AAA (MI), Belle Tire AAA (MI) and Mid-Fairfield AAA (CT) beat Team Canada in a very exciting, "Olympic-Atmosphere" weekend. The Atlanta Phoenix Hockey Club is a member of the Southern Youth Hockey League (SYHL), Southern Amateur Hockey Association (SAHA), and is a USA Hockey affiliate. Our mission is to provide the opportunity for the players to be the best they can be. An environment where our players will have fun, develop skills to the best of their abilities and enjoy the spirit of hockey competition and camaraderie. The IceForum Hockey Association (IHA) is the premier ice hockey program in the state of Georgia. We are committed to the pursuit of excellence in both athletics and academics. With a highly skilled coaching staff under the direction of Yan Kaminsky, this program is designed to advance and develop players to their maximum ability. Our program continues to take on a new approach from the USA Hockey ADM concept and look towards the future to create teams in all levels at the Tier II level. Every season the IHA Atlanta Phoenix program officially rosters all teams with USA Hockey. Our intent is to schedule games against the best teams available at each level. Our coaches at the house level are working to develop players for the travel Phoenix SYTHL teams. Coaches at the travel Phoenix SYTHL teams level are working on developing players for travel Phoenix Premier teams and coaches for travel Phoenix Premier teams work with our players to help them reach the AAA level. We are taking this approach in order to best develop our players and to prepare them for the possibility of playing at a higher level and beyond. This will be accomplished through our association with the SIHA Thunder AAA teams. It is our intention to meet the stated goals of the program. Our focus will be on quality games rather than quantity. Our goal will be to play 40 – 60 quality games. The Phoenix Premier teams will play at least 30% of our games against Tier I competition and filling in the rest with the top ranked teams in the AA division. Because our schedule is going to be loaded with the best competition possible, we will have to travel. The Phoenix SYTHL teams will play in SYTHL (Southern Youth Travel Hockey League) against teams in SAHA affiliate and filling in the rest with the A/AA competition. Travel for the Phoenix SYTHL teams will be most driving distance in the SE district. The 2017/2018 Atlanta Phoenix travel teams will learn and employ a total team approach to the game of hockey on and off the ice. Our systems require every member of the team to know their responsibilities and be able to perform their responsibilities in any given situation. We will practice just like we want it played – hard, fast and smart. Our Squirt through Midget teams practice 3 times a week. Two times a week will be Skills Clinics by USAH ADM concept, where we concentrate on specific skill development, and one touch a week full ice practice to go over and learn team concept and work on team breakouts, zone entry, neutral zone regroup and etc. Our teams will do off ice sessions before or after practice, two times a week. Players will be highly recommended to have a strong off ice program to follow during the summer and strongly encourage working with professional trainer during off ice strength and conditioning sessions. All of our travel teams participate in High Performance Weekends (HPW) lead by the coaching staff of each travel team. During the HPW weekends, we will introduce our players to specific skills for defense and offense. Also we will work with the teams on the Atlanta Phoenix systems, composed of d-zone coverage, fore-check, zone entry etc. Team members will be asked to work diligently both on and off the ice in order to learn their roles and responsibilities as well as the roles and responsibilities of their teammates. New this 2017/2018 season! The Atlanta Phoenix Hockey Club will roster only 1 PeeWee Premier team, 1 National Bound 14U Premier team and 1 National Bound 16U Premier team. Combining players will create stronger Premier teams, therefore developing stronger Phoenix SYTHL teams at both facilities. We plan on Phoenix SYTHL teams at each level Squirt-U16 and depending on number of players at tryouts; there could be more than 1 Phoenix SYTHL team at each level. We strongly believe this will strengthen all teams in the program. Atlanta Phoenix teams will have 3 practices per week, 2 skill clinics ADM USAH style practices run by professional division coordinators and 1 full ice team practice. 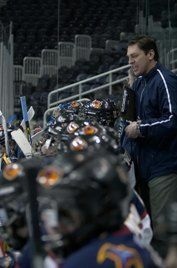 Members of the Premier teams, however will skate the 2 clinic style practices at their home facility, Kennesaw or Duluth, and attend the full ice practice as a team unit. Pee Wee Premier team, 14U National Bound Premier and 16U National Bound Premier teams will travel for tougher competition and tournament play. They will play at least 30% of our games against Tier I competition and filling in the rest with the top ranked teams in the AA division. Because our schedule is going to be loaded with the best competition possible, we must travel. Our Phoenix SYTHL teams will participate in the Southern Youth Travel Hockey League and play in the Southeast, like years past. We look forward to another successful travel hockey season! Best of luck to each of you! Your tryout fee does not guarantee all tryout sessions. After the final tryout/scrimmage you may be selected to the core group of players. The final roster will be determined by the Hockey Department with input from all the Head Coaches. If you have been awarded a roster spot at the end of the final tryout, you will receive a commitment letter and instructions for payment obligations due by the team’s fitting day. The final team rosters will be posted on the Iceforum.com website after fitting day. Summer Travel Skates for each team will be provided by the Hockey department. Each division will skate through the summer. The Summer Travel Skates will consist of drills, small area games and scrimmages. The intent of the Summer Travel Skates is to simply provide ice time and an opportunity for team building. In addition to our on-ice team practices, time will be set aside throughout the year for individual player skill analysis and development. It will be the primary goal of the coaching staff to instruct, motivate and develop every player. Individual skill based goals will be set by our players and tracked by our coaching staff. One on One meetings with players and parents will occur at your request. We will strive to create a fun and exciting atmosphere for our players. We will place your child in situations he can be successful in to build confidence in his abilities. Our coaching plan will include a natural progression for skill development and understanding of team systems. We will be organized and prepared before practice to maximize the use of limited ice time. One of the major benefits of participating with the Atlanta Phoenix travel teams will be the ability to practice, play and compete against other players in a similar skill range. However, with this comes a significant responsibility we place on each player. We expect our players to place a heavy emphasis on family, school work, discipline and work ethic. All players will be expected to work diligently on and off the ice to become the best team member they can be. Players are expected to act on and off the ice in a manner that is a positive reflection of your family, your team and the Atlanta Phoenix Hockey Club. In order to have a successful season at this level of hockey a significant amount of time and effort is required by all families. This team belongs to the players and the families that are selected to play. We will ask for help and feedback all along the way. The coaching staff will always be available to discuss team and player issues. In order to continue the Atlanta Phoenix Hockey Club Program standard of excellence we are requiring a dress code for all players. Players will need to be properly dressed in an Atlanta Phoenix Polo Shirt and Khaki pants while at the rink or traveling by air. After games, at the hotel, and car travel, Atlanta Phoenix players are required to be in their Atlanta Phoenix wind suits. This dress code is for Mite-Midget. Also a hotel curfew will be in place for all teams. This curfew will be set by the Head Coach. Coaches will be discussing these items with all players and parents. You don’t climb mountains without a team, you don’t climb mountains without being fit, you don’t climb mountains without being prepared and you don’t climb mountains without balancing the risk and rewards. And you never climb a mountain on accident-it has to be intentional.